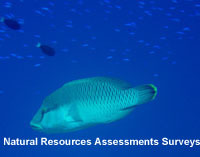 NRAS - Conservation is an NGO dedicated to the conservation of tropical marine ecosystems in the Pacific. to support developing countries to sustainably manage their marine natural resources. NRAS conservation is presently working to support local institutions and agencies in the Republic of the Marshall Islands (see projects ).